It might come as a shock to hear that Christmas is only 4 weeks away. If you haven’t figured out what to get the men in your life we have a few suggestions, whether you have a small budget or a large one. There’s something for everyone. 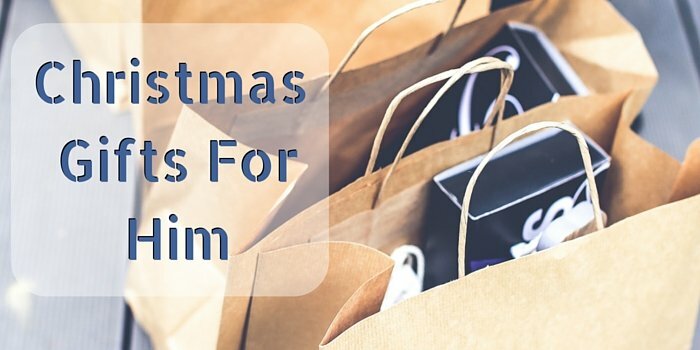 Buying a small gift can mean just as much as a large gift on Christmas day. You can always create a small hamper of their favourite treats and small gifts. It might only be one present but with lots of little parts, it will seem like a lot more. If you are feeling a little more creative, there is always the option of decorating or creating a gift. This could simply be painting a mug with a cute or funny message. Hampers can be filled with anything you want. You can create a hamper filled with Christmas essentials: chocolates, drinks, socks, etc. If you were feeling extra generous, you can fill a hamper with lots of pricier items that he would enjoy. A hamper is a great way to turn lots of small gifts into one big one. Christmas is a magical time of the year, where we tend to splash out a little more cash on those we love. There are lots of items you can buy. What you get them will always depend on what they enjoy. Some men enjoy playing video games while others don’t. You don’t always have to get a physical present; buying them an experience day or tickets to something they’ve been looking forward to is always a nice treat. Make this Christmas different by buying him a unique present. This could be something that you’ve made completely from scratch or just something he wouldn’t of expected. One great idea is renting him a self storage room. He can then turn this into his own little man cave away from home. It’s a win-win situation for both you and him. With him having his own space and you getting the house to yourself for a while.